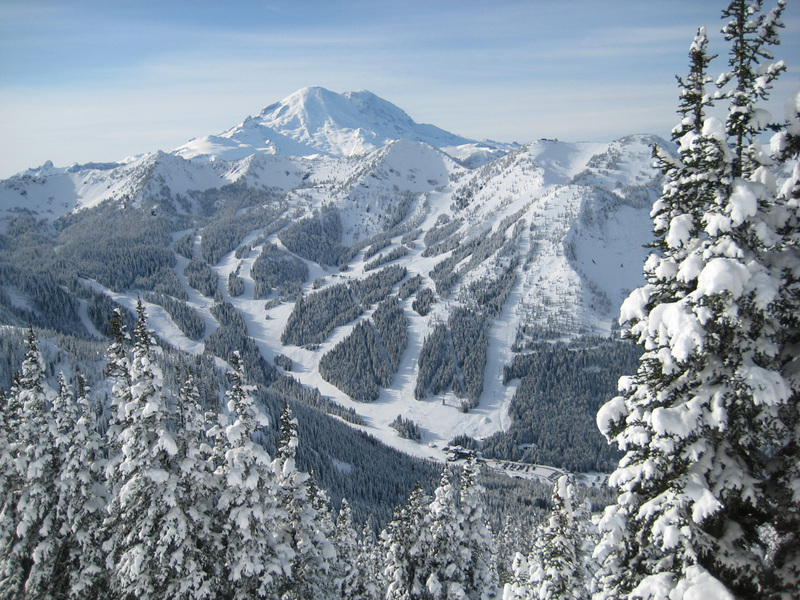 There aren’t many ski areas in this country with as modern a lift system as Crystal Mountain in the Washington Cascades. When I learned to ski at Crystal in the early ’90s, it was owned by a co-operative and featured a bunch of double chairs dating back to the ’60s and ’70s. In 1997, the co-op sold itself to Boyne Resorts in hopes of bringing desperately-needed capital improvements to Washington’s largest ski area. Modernize Boyne did. In the first two years of ownership, the Kircher family brought Crystal the northwest’s first two six-packs. 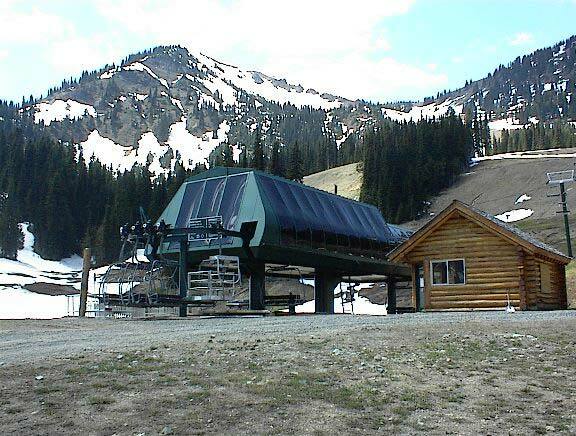 Two years later the Green Valley double was replaced by a Doppelmayr high speed quad, the mountain’s fourth detachable. In 2007, the Northway lift opened up 1,000 acres of new off-piste terrain. Perhaps the biggest project of all was the addition of the 8-passenger, top-to-bottom Mt. Rainier Gondola in 2010. Last summer, Crystal replaced its final remaining Riblet and Hall doubles with new fixed-grip lifts (one had been destroyed by an avalanche, leaving the mountain with no choice but to replace the only way to the summit.) Now almost 20 years since Boyne arrived on scene, the average lift here is less than 15 years old. It’s a far cry from many of Crystal’s northwest neighbors. Snoqualmie, for example, still operates 11 Riblet double chairs dating as far back as 1967. 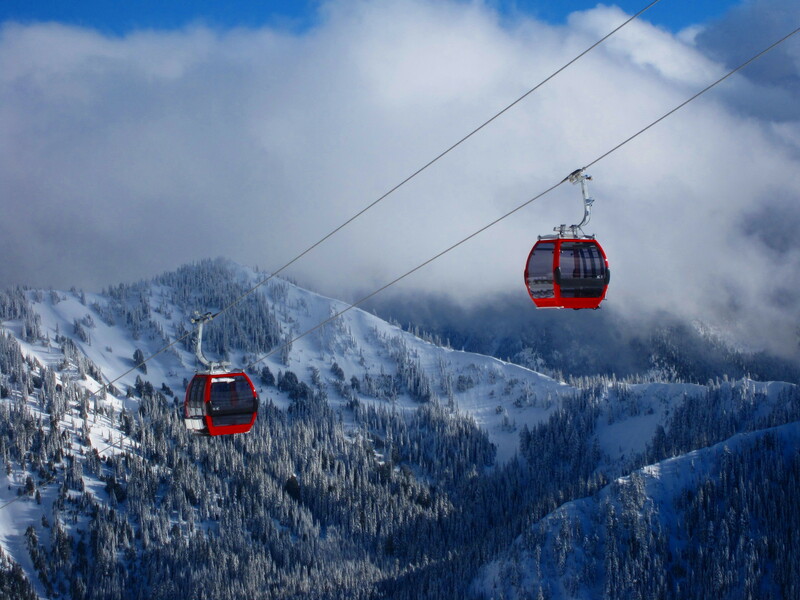 Today, Crystal Mountain operates a gondola, two six-pack detachables, two high speed quads and five fixed-grip chairs. By now Crystal has implemented much of its 2004 master plan but a handful of lift projects remain on the horizon. Two aging lifts still need to be replaced. Rainier Express was Crystal’s first detachable, opened in 1988, and is nearing the end of its useful life. The plan is to replace it eventually, possibly with a six-pack. The Discovery beginner lift is also slated to be replaced with a more learning-friendly and extended high speed quad. 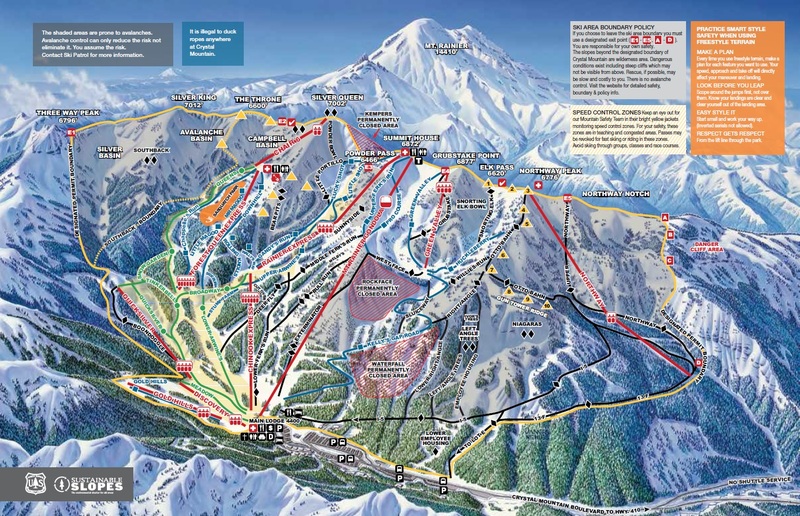 Master plan map showing three new lifts already completed and another four approved. Note that the gondola was initially approved as a tram and Northway/Quicksilver were slated to be detachable quads. The new Kelly’s Gap Express will dramatically improve the skiing experience on the north side of the ski area. The high-speed quad will depart from a new base facility in the current lower parking lots and provide direct access to the alpine terrain between Northway and Green Valley. 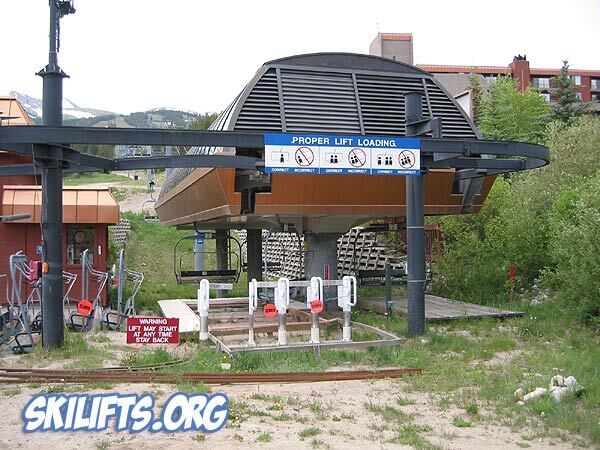 A fixed-grip quad tentatively called Park ‘N’ Ride will also link to the current base area and gondola, hopefully replacing Crystal’s trailers pulled behind pickup trucks that shuttle skiers to the base lodge. 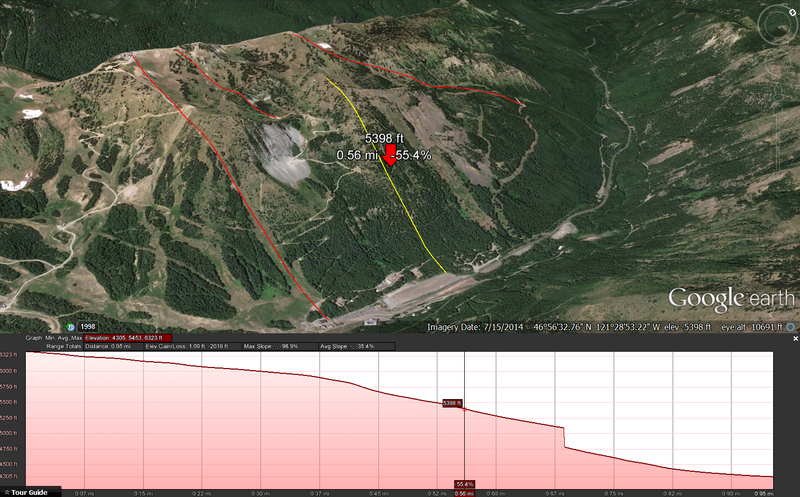 Kelly’s Gap Express in Google Earth showing a 2,019′ vertical rise and 5,016′ slope length. This will be a steep one! Crystal also plans to expand East. 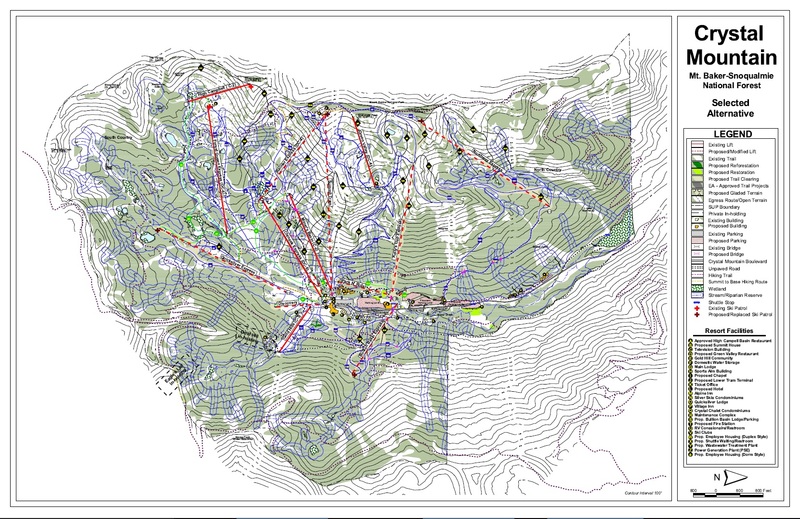 The Bullion Basin lift would serve lower-elevation terrain opposite the valley of the existing ski area. A lift occupied this very alignment from 1974-84 but was moved to Gold Hills due to lack of snow. The modern version would require snowmaking in all but the grandest of snow years. I believe the ultimate goal of this lift and trail pod is to serve as a jumping off point for a future East Peak lift, which would ascend some amazing high-alpine bowls above Bullion Basin. The Forest Service rejected a lift to East Peak in 2004 but I suspect it’s only a matter of time before the terrain and capacity are needed and approved. The Mt. 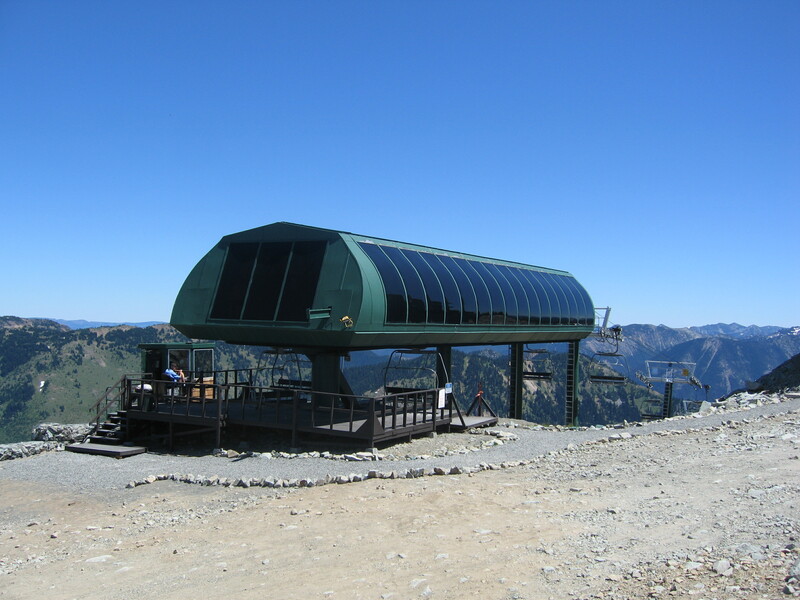 Rainier Gondola, the flagship of Boyne Resorts’ seven new lifts built at Crystal Mountain since 1997. Crystal’s ski area master plan is one of three in a region which adds a million new residents each decade. Both Stevens Pass and The Summit at Snoqualmie have similar (and much-needed) expansion plans which I will cover in future posts. Even so, I have a hard time imagining any Washington resort catching up with the world-class facility Crystal has become. I personally belive they should replace the cadence chain on rainer express instad of replace it. I’m calling it, they will replace it for a Six-pack, somebody will buy it, and that somebody will end up paying less than 1.5 Million (Including lift) to keep it running for another 20 years at their area. Either that, or it will sit in the parking lot for 10 years before it’s scrapped. I can’t possibly see somebody wanting it for parts (Only like 5 lifts were built with that terminal model). I kinda feel the same way. Only two other were the same model with 2 being bottom drive (this one and sunshine village’s) and one top drive (waterville valley.) I bet Waterville would pick up some parts if they relocate the white peaks to green peak. The same chairs and grips were used elsewhere just not the terminals although i bet they are similar to the poma competition terminals. The innards of the lift are the same through the end of the Competition models. I’ve never wrenched on a Challenger/early Omega but I understand it’s similar to the Omegas in a lot of respects so nothing built after 1990 could use anything from Rex terminals. The tire systems and chains were the same or similar on the Performance models like the old American Flyer at Copper or Liberator at Mission Ridge. In reality though, this lift is about done. Operating 8 months out of the year for thirty years will do that to you. It could be nursed along for a while yet, but as more of these lifts are replaced Poma will most phase out manufacturing parts for all but the grips.